Do you have a degree and experience in the following? If so, then click to sign up to the Global Careers Fair below for free, where you can speak with recruiters from the ICRC online about the potential job opportunities that are on offer on the 6 October 2016.
Who are the International Committee of the Red Cross (ICRC)? 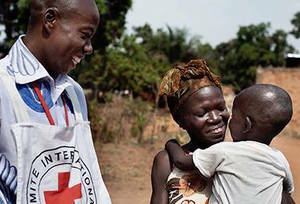 The International Red Cross and Red Crescent Movement is the largest humanitarian network in the world. Its mission is to alleviate human suffering, protect life and health, and uphold human dignity especially during armed conflicts and other emergencies. It is present in every country and supported by millions of volunteers. The “Movement” is made up of the following components: the International Committee of the Red Cross, the National Red Cross and Red Crescent Societies and the International Federation of Red Cross and Red Crescent Societies.